One of Devon’s most flamboyant coastal towns is preparing to extend a warm and hearty welcome to thousands of visitors set to descend upon its historic streets for an annual celebration of epic proportions. We are of course talking about the Port of Dartmouth Royal Regatta, an event which dates back to 1822 and a handful of sailing races, a single six-oared gig and a rousing performance by the then resident military band. It’s fair to say this grand old event has grown exponentially over the decades, having been latterly dubbed ‘the Best in the West’. The itinerary for 2018 is looking as bumper as ever with a busy rowing and sailing schedule, a plethora of sporting contests and fun challenges, an exciting musical line-up, plus several old favourites, such as the regatta fete and ball, and the dazzling fireworks display. One of the most respected and longstanding events is the Port of Dartmouth Royal Regatta Tennis Tournament, which this time celebrates its half-century; fifty vintage years of competitive tennis on Coronation Park where the sparkling waters of the River Dart provide arguably the most scenic backdrop to any tennis tournament played in the British Isles. 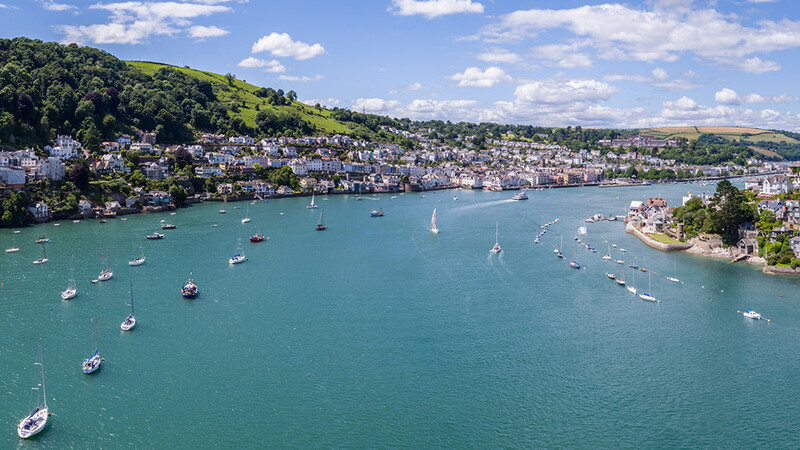 Discover the handsome riverside town of Dartmouth, beloved for its narrow medieval streets and historic quays and steeped in maritime history.